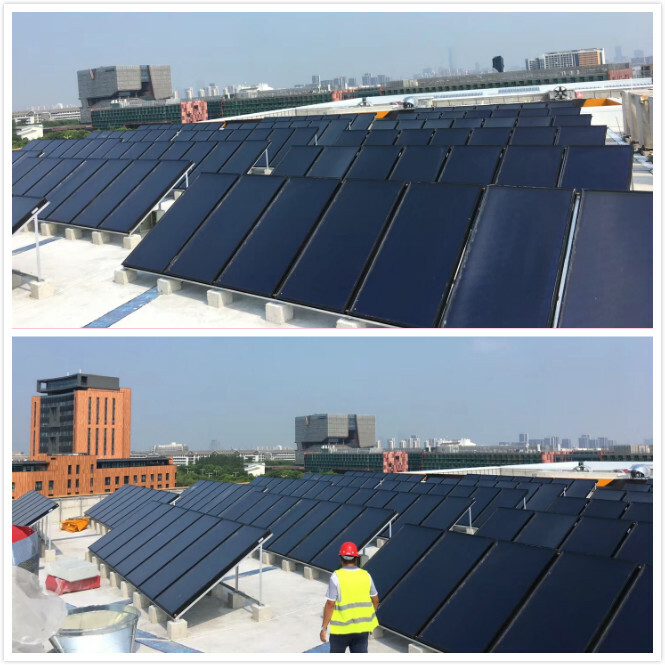 Congratulations of the Liverpool University Hot Water Project - Sinoyin Solars Co.,Ltd. With the concept of energy saving and environmental protection, Sinoyin engaged in the clear renewable energy for more than 10 years, continuously making contributions for researching and developing product. We kept good contact with government and society’s hot water projects, so we successfully developed cooperation with Liverpool University on the hot water project. The new sports center of Liverpool University was built to provide a clear and renewable hot water for students. It must provide hot water supplying the whole day for students. Therefore, it requires auxiliary energy of the air source to heat pump, and the initial design of the installation was included. 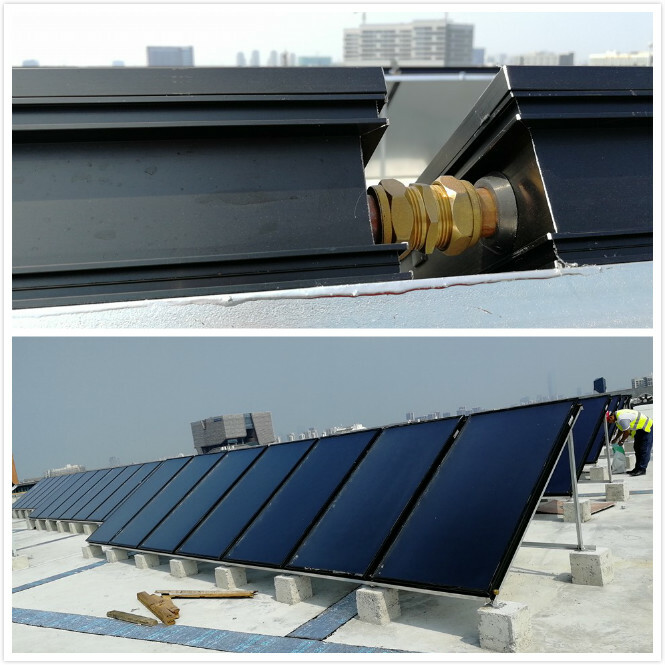 Installing a solar flat plate water heating system for your home can reduce your energy consumption as much as 40% to 50%. It only takes 1 or 2 solar flat plates to heat over 80 gallon hot water per day for free. Many people don't realize how much energy is used to only provide hot water in your home. In fact, 20% to 25% energy in the average family is consumed just for heating water, and for such things as laundry, cooking, cleaning dishes, and showers. Installing a solar flat plate system would significantly mean reduction – or elimination – of these costs. Furthermore, our solar hot water systems qualify for the Federal 30% tax credit, meaning that 30% of the installed cost of your solar hot water system is returned to you the next time you file your taxes. This also means the less pocket expense, the faster rate of return on the costs of your solar water heating system.